Nairobi 19th October 2016- Kenya Airports Authority has today successfully conducted a full safety drill involving a public health emergency at Jomo Kenyatta International Airport. A passenger on a Kenya Airways flight destined for Nairobi, from an International destination developed symptoms of a communicable disease midair, and collapsed on board. The airline’s cabin crew attended to the sick passenger and alerted the captain who in turn alerted the air traffic control at JKIA. On Landing, the Aircraft was guided by KAA’s Ground controllers and was parked at a pre-determined gate. 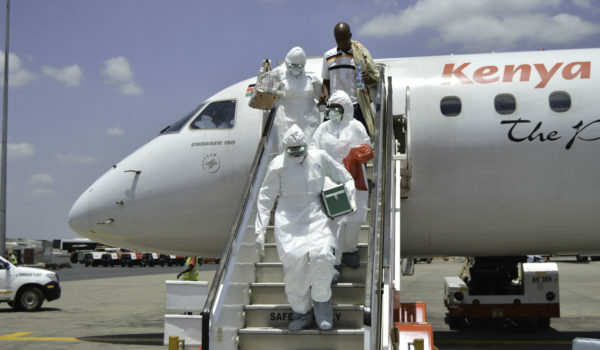 Port Health and other medical emergencies services quarantined the Aircraft and the “sick ‘passenger evacuated to a referral hospital. 1. To assess the effectiveness of Airport emergency plan in mitigating public health emergency in aviation. 2. To test the understanding of cabin crew and flying crew in implementing medical emergency procedures involving public health emergencies on board an aircraft. 3. To test the effectiveness of resources. e.g. 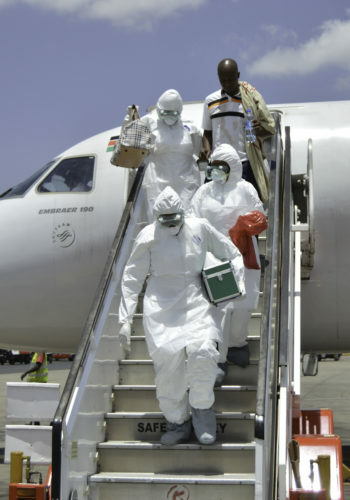 people, equipment, Port Health Clinic, Ambulances and hospitals in responding to public health outbreaks at the Airport. All airports under ICAO regulations and standards are obligated to conduct such drills to put to task their level of preparedness and safety standards.